Family life has changed so much over the last few decades. In fact, I would use the word transformed instead of changed. Sports practices and extracurricular activities have crept into our families lives draining parents (and children) of energy and patience. We constantly run from one activity to the next forgetting to take the time to work on family bonding. Here are 3 simple ways to nurture your family bond even with today’s ridiculously hectic lifestyle. Maybe you think why bother? We are a close family – I always go and watch them play in their game or perform in their recitals. I drive them everywhere. I put food on the table and a roof over their head. Take a moment right now and think deeper. Reflect on whether you ever take the time to slow down and appreciate each other as a family. To nurture your family bonding try and be grateful every day. Take a moment each day to reflect on at least three things that you are thankful for. If you don’t have time each day, try for one time per week or two times per month. Just take action and plan to reflect. If you are not sure how or where to start, try with this Family Gratitude Exercise – Thankful for Me. You can download it below. This is so simple yet so powerful. Eat meals together, watch movies, go hiking, take a vacation, go camping, cook together, play games, etc. Memories are made of experiences and when we step away from day to day hecticness these are the moments we will remember. Sitting around the dinner table, laughing at a movie, the outdoor peace and quiet will allow you to grow closer together. In our family camping and playing games are some of our favorite pastimes. Whenever we start going down memory lane it is often about a camping experience or a certain game. Although some of our favorite memories are things we tried together as a family and it went horribly wrong. Biking together as a family – 8 people on a bike path at one time trying to stay together ranging in ages from 2 to 42 was a BAD IDEA. Or every so often we think we would like to own a boat. So we rent one to test it out. I spend the entire time stressing out, we all have no clue what we are doing and we decide yet again we are not a “boating family”. Not sure where to start here or low on funds? Here are a few ideas to get started with a family game night to nurture your family bonding. 1. Family cooking wars – see who can create the best edible treat with different ingredients that you have in your pantry or fridge. Read more here. 2. Card Games – read my 5 best card games to play with the family. We are a card playing family for sure so this activity gets picked the most. 3. Category Games – Perfect activity for family game nights. Younger children can be on a team to help come up with different words in the categories. Older children or adults can record the answers. These games are fun and challenging for all ages. 4. We love to play Set the Record! 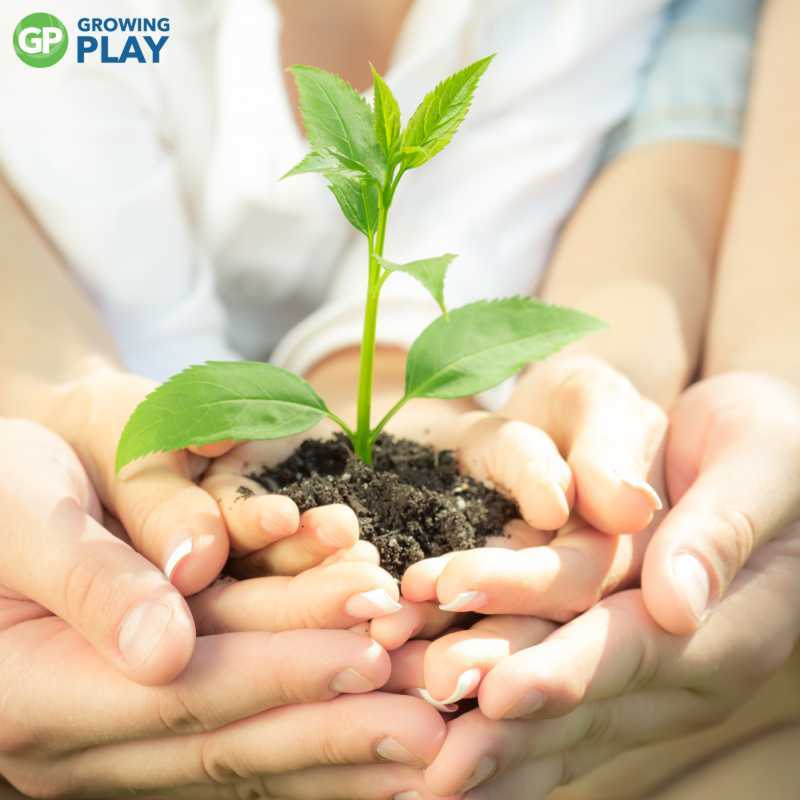 – This game is great because children of all different ages may be able to hold the family record. Time for the kids to beat the adults! Find out more here. 5. Memory Games – Download the Memory Challenge packet or try this classic from when I was a child. One person gathers small items from around the house and puts them on the tray. Place the tray in the middle of the table. Everyone studies the objects on the tray for 30 seconds. Cover up the tray. Each player has one minute to write down on paper all of the objects they can remember from the tray. Compare your answers. If you are playing with young children who can not write, have the children close their eyes. Remove one or two items. The children open their eyes. Can they remember what you removed? Read more details here. Simple Idea #3 to Nurture Your Family Bonding – Put the phones away. This is the easiest way to make a quick change. Decide as a family when there will be no phones. The best time is meal time so people can talk with everyone looking at each other and not down at their phones. It is truly that simple. Put the phone away and talk to each other. 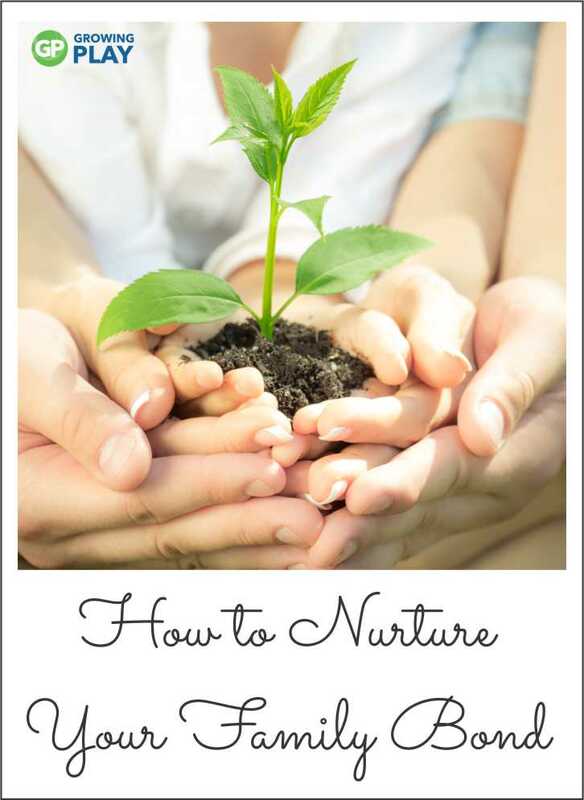 You will nurture your family bonding instantaneously. Ready to Tackle More Family Bonding? 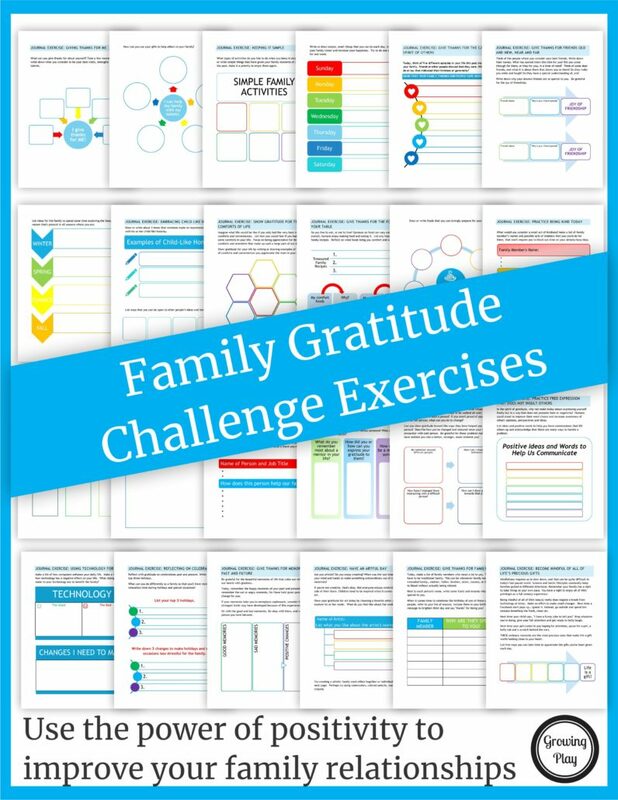 The Family Gratitude Challenge gets you pointed in the right direction when it comes to learning how to raise a grateful child. It is a dynamic book. Your family will gather together to read a reflection on each topic and then complete the gratitude challenge that follows. All 25 challenges do not require any preparation or special materials except printing the gratitude exercises for each person to complete. It is SUPER EASY to get started. Go in order with the gratitude exercises for 25 days, try one challenge per week or per month and take a moment to be grateful for your family and friends.